How To Delete Kijiji Account :- Kijiji is an online classified portal in canada that let its users to search or post classified ads based on their respective cities. The website lets its users to create and edit account information, upload pictures, search for classified ads on portal, contact the person who post ads or send messages. We have received some mails from our website readers that they want to delete their account from Kijiji website. When we studied about this topic that why users are deleting their account from the website we discovered that many users who are deleting their account from the website they either deleting because they receiving a lot of newsletter from the website regarding to classified ads which is making their mailbox look spammed while other members says that they get the item they want now not need the account on the website and some says that they are searching classified advertisement on other portal so want to close their account. If you are deleting your account just because of their newsletter or mail you can either mark the mail as spam by clicking on spam button given at top of your mail button or unsubscribe the mail by clicking unsubscribe link given at the bottom of the mail. If your reasons are other then i will guide you step by step method on how to delete your account from Kijiji Website. Kijiji company was launched by leading bidding and eCommerce website E-Bay in 2005 and currently it is one of the best classified portal that is mainly used in Canada. As per source currently there are more than 72 million users accessing the website on monthly basis. Go through the following url “http://help.kijiji.ca/helpdesk/” . On main menu section click on Email-Us button. On Email Us Section choose topic OTHER. Now scroll down to section email-us enter your name, email address. On Messages Type your reason that you want to delete your account and then click on button SEND. PS:- Use this method only if the above function does not work. Go to the following url “https://feedback-form.truste.com/watchdog/request”. Now scroll down to section file a report with TRUSTe. 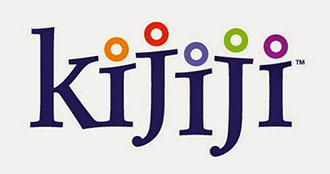 On URL enter the domain name “www.kijiji.ca”. On Complaint type choose option CAN’T CHANGE / REMOVE PERSONAL INFO. On Description type your reason to delete your account and also tell them the contacting customer care does not help and the click on button. Now type the details in field Site Response, Resolution Seeking, Email-Address and Name. Choose Country and then option YES, I GIVE PERMISSION and click on button SUBMIT. For more information on How to Delete Kijiji Account stay updated to this website.